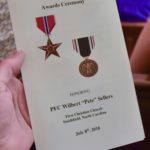 More than 73 years after he served his country in World War II and was a prisoner of war, Wilbert “Pete” Sellers was finally honored Sunday afternoon. 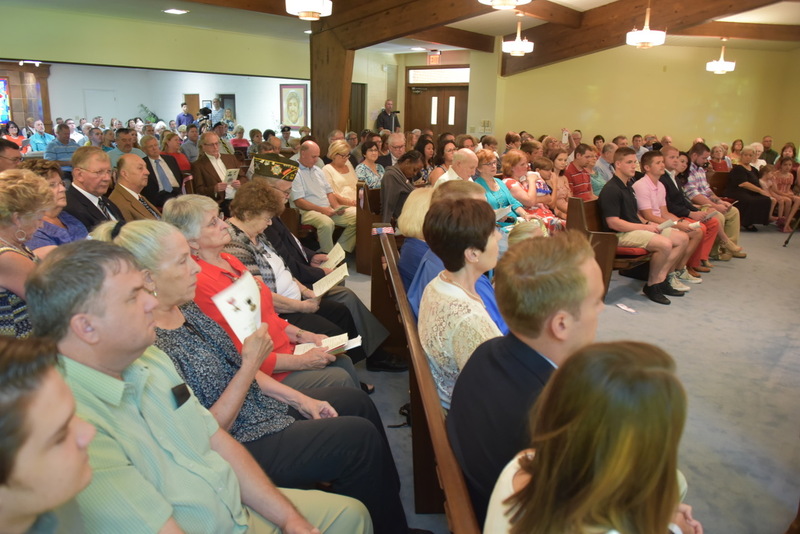 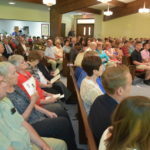 A large crowd gathered Sunday afternoon at First Christian Church on S. Crescent Drive in Smithfield for the presentation. 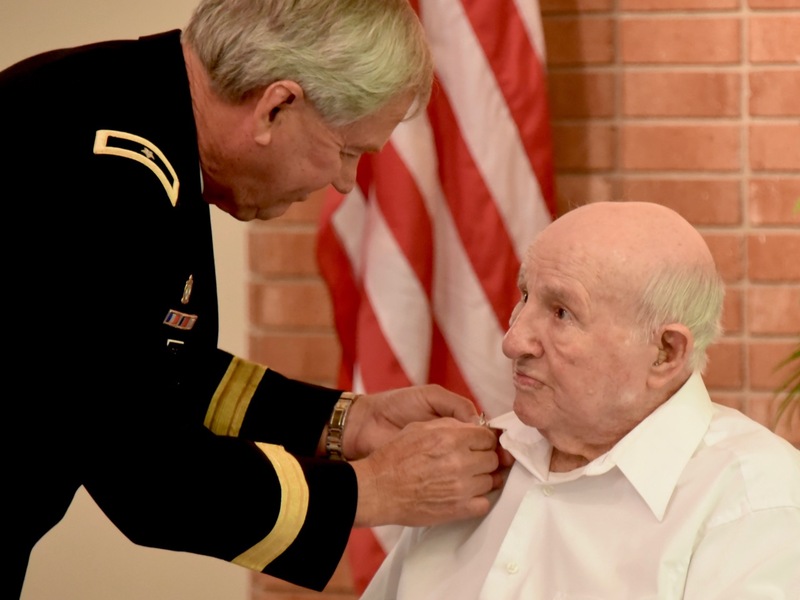 Sellers, a 95 year-old Army veteran and Smithfield native, was a private first class in the 232nd Infantry Regiment in the European Theatre. 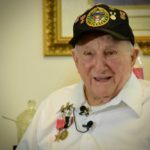 In January 1945, his unit was involved with slowing the German advance during the Battle of the Bulge. The unit was overwhelmed and Sellers was captured by the Nazi forces, as well as many others of his unit. 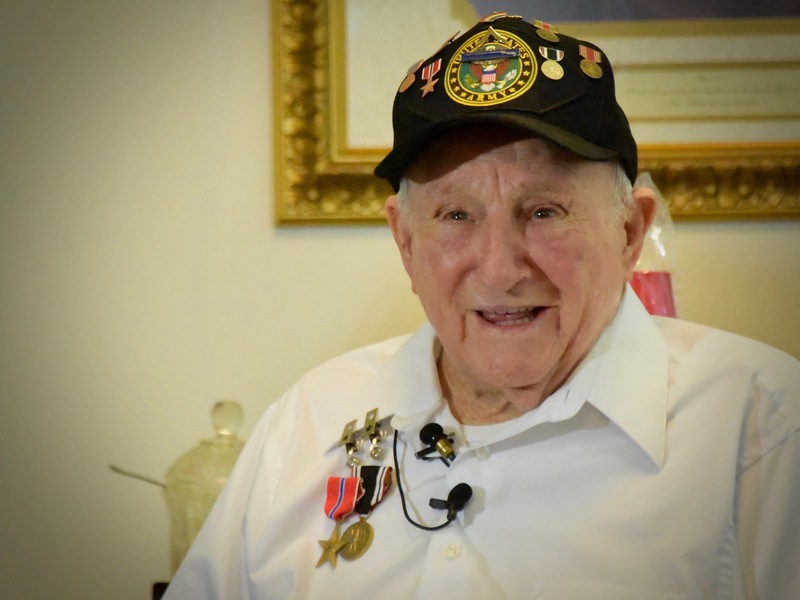 Sellers was able to eventually escape the POW camp and reunite with American troops who at first didn’t believe his story of being a prisoner of war. 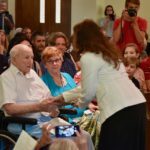 During the ceremony that brought Mr. Sellers to tears, he was presented with the Bronze Star and POW medal. 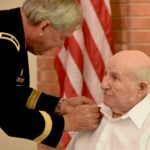 Sellers said he believed other soldiers, many who lost their limbs or their lives, deserved the medals more than him. 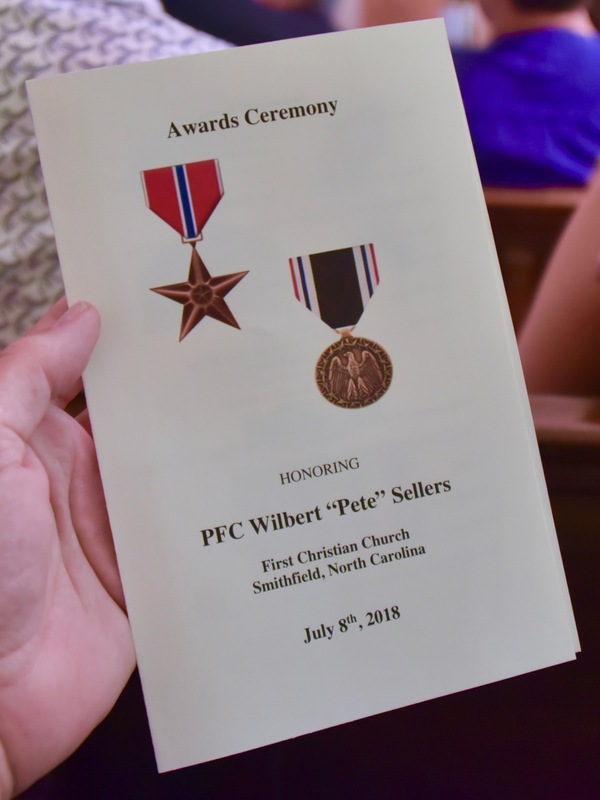 The awards we a result of the efforts of the Veterans’ Legacy Foundation based in North Carolina. 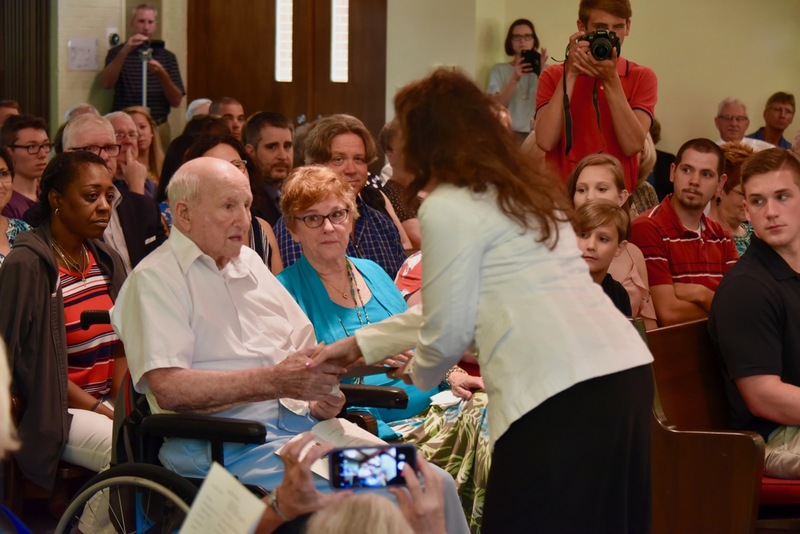 The foundation helps veterans and their families obtain the recognition they deserve, so that their military legacy can be passed on to future generations.